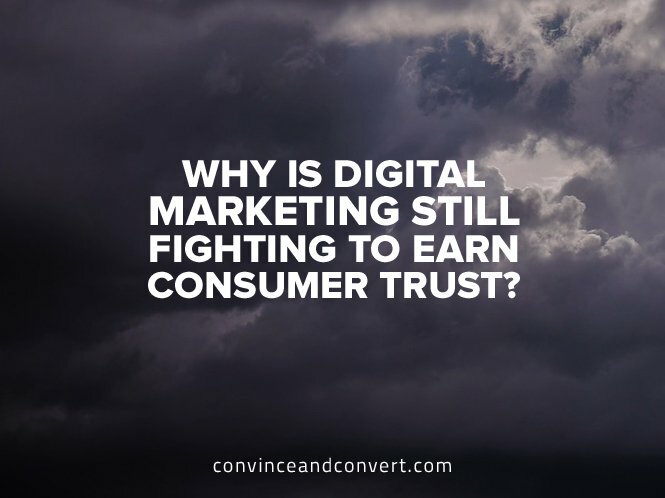 But the same thing can be said to describe the relationship between a consumer and a brand: “It’s always been a matter of trust.” If trust is absent, there is no relationship. It’s that simple. And from the findings of a recent MarketingSherpa survey, it appears as if digital marketing is still sitting at the kids’ table when it comes to trust. In a wide-ranging survey of 2,400 US consumers, evenly split among the various age demographics, one of the topics addressed was the issue of trust. 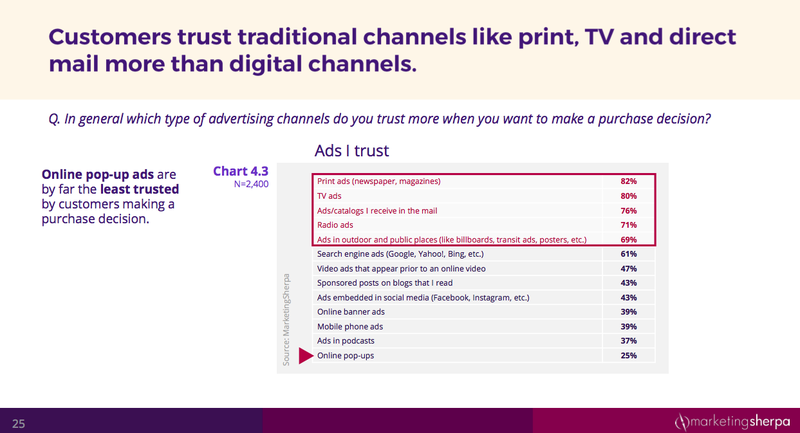 As you can see from this chart of the survey’s findings, digital marketing is not very trustworthy in the eyes of consumers. But on the other hand there’s digital, with its cookies and IDs and all the data that’s being generated and analyzed to deliver—that’s right—a personal experience. Could it be that a great number of marketers don’t know how to use all that data? Could it be these same marketers are still batching-and-blasting, thereby delivering irrelevant marketing, thereby causing the lack of trust? But Steve, you say, doesn’t traditional marketing essentially do the same thing? Doesn’t traditional marketing batch and blast too, to some extent?